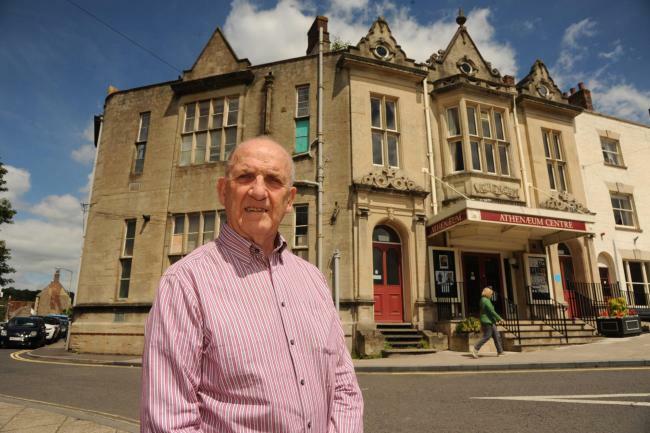 The building, which is joined to the Athenaeum, has been under the control of Wiltshire Council in recent years, but now the reins will be handed back to the Athenaeum following a community asset transfer to the theatre’s trust. At an area board meeting on Thursday, June 30, funding of £5,000 was approved to the trust, which will go towards the overall target of £50,000 required for the complete handover. Tony Nicklin, chairman of the Athenaeum Trust, said: “I’m very happy with this grant,; it brings us one step closer to our target. “The building was initially used as a school to improve the education of children in the local community in 1901 before becoming the youth centre, but in the last three years the facility has all but come to an end due to lack of funding and lack of people using it. “The sensible but regrettable decision of bringing the youth centre to an end was made, but we then applied to take the building back under the trust’s control. “This funding, as well as £10,000 we have raised ourselves and £30,000 from the Plain Action scheme, will enable us to open up all the rooms to be used for Athenaeum purposes, including hiring them out to the public for rehearsals and for private functions. “The changes will be both structural and physical. The Athenaeum and youth centre will become one big entity again and the doors linking the two buildings will be reopened. “Once we have the required funds, refurbishment work will begin, which wich will probably be next year. The Wiltshire Council-led WAVE sessions, which take place on the ground floor of the building, will continue to run after the building has been handed over to the trust. WAVE, which stands for Warminster Adults Value Everyone, is a scheme which runs a multi-disciplinary resource for adults with physical or learning disabilities or who are recovering from mental health problems, and is open to people aged 18-65.